TMZ caught up with Malik Yusef and let him air out his side of the story. According to Yusef, Plein’s insinuation of a Kanye West-agreement is completely unfounded. Yusef is saying that Kanye West did inform Philip Plein of his intentions to bow out in a timely manner. He says the Plein and himself agreed on a “t-shirt” shortly after recanting on their “concert” agreement. The body of proof Plein is wielding in his defense can be viewed here. To add insult to injury, Yusef even insisted that he “barely talks Kanye’s” in yet another attempt at distancing himself from Yeezy’s problematic behavior. On the other hand, sources close to Kanye are reporting that Malik is lying through his teeth, as is Philip Plein – their belief is that no agreement whatsoever was ever put in place, at least on his accord. 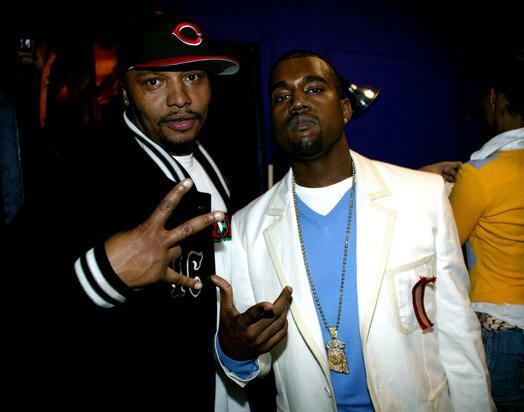 “Malik Yusef is certainly in no position to negotiate a deal, receive money, or forge Kanye’s signature or sign any contracts on his behalf,” a rep for Kanye added, to remind us all, who in the G.O.O.D. Music camp has the means to produce a rubberstamp.